Maximizing the hypertrophic response to resistance training (RT) is thought to be best achieved by proper manipulation of exercise program variables including exercise selection, exercise order, length of rest intervals, intensity of maximal load, and training volume. An often overlooked variable that also may impact muscle growth is repetition duration. Duration amounts to the sum total of the concentric, eccentric, and isometric components of a repetition, and is predicated on the tempo at which the repetition is performed. 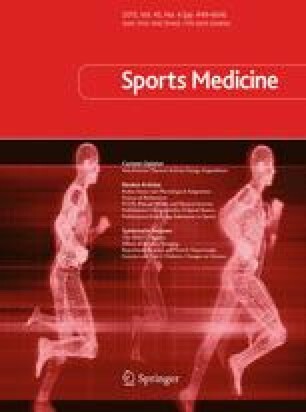 We conducted a systematic review and meta-analysis to determine whether alterations in repetition duration can amplify the hypertrophic response to RT. Studies were deemed eligible for inclusion if they met the following criteria: (1) were an experimental trial published in an English-language refereed journal; (2) directly compared different training tempos in dynamic exercise using both concentric and eccentric repetitions; (3) measured morphologic changes via biopsy, imaging, and/or densitometry; (4) had a minimum duration of 6 weeks; (5) carried out training to muscle failure, defined as the inability to complete another concentric repetition while maintaining proper form; and (6) used human subjects who did not have a chronic disease or injury. A total of eight studies were identified that investigated repetition duration in accordance with the criteria outlined. Results indicate that hypertrophic outcomes are similar when training with repetition durations ranging from 0.5 to 8 s.
From a practical standpoint it would seem that a fairly wide range of repetition durations can be employed if the primary goal is to maximize muscle growth. Findings suggest that training at volitionally very slow durations (>10s per repetition) is inferior from a hypertrophy standpoint, although a lack of controlled studies on the topic makes it difficult to draw definitive conclusions. This study was not funded by an outside source. The authors report no conflicts of interest for this study.